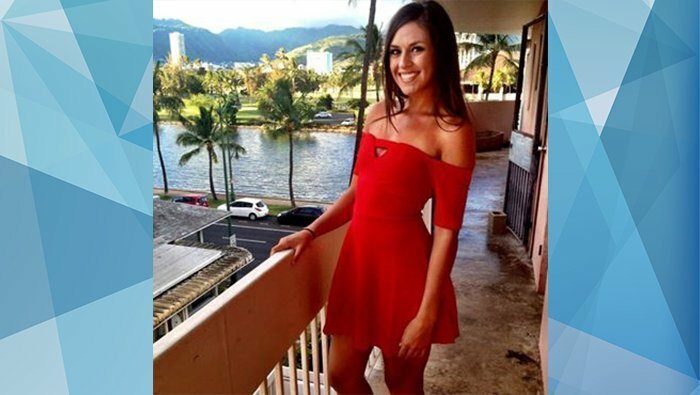 LAKE HAVASU CITY–After nearly two-weeks of searching the Colorado River, authorities have still yet to find missing boater Raegan Heitzig, 26, who went missing following a tragic boat collision near Topock on Sept. 1. The bodies of Christine Lewis, 51, of Visalia, California; Brian Grabowski, 50, of Ventura, California and Kirra Drury, 24, of Ventura, California were found a few days after the crash. Lewis and Drury were found close to the crash scene, while Grabowski was found down river on the Chemehuevi shoreline. The search is now focused down river towards Lake Havasu City where a command center has been established at the Lake Havasu Water Safety Center. Agencies who have assisted in the search for Heitzig include San Bernardino County Sheriff’s, Los Angeles County Sheriff’s, Lake Havasu City Police Department, Bullhead City Police Department, BLM and Arizona DPS. The divers have recently been called off the search due to reported safety issues. Heitzig was one for 16 passengers that were ejected into the Colorado River after two boats collided around 8 p.m. near Pirate’s Cove in the Moabi Regional Park. One boat, a Hallet, was reportedly carrying 10 people, while the other, a Sleek Craft, had six people on board at the time of the collision. Authorities say 12 people were rescued by passing boaters and four were reported missing. Furthermore, due to the high impact of the crash, both boats sank within minutes of each other. Two boaters had significant injuries that required them to be airlifted to a Las Vegas hospital. Family members have since identified the two injured as Heitzig’s sister, Jordan and Brian Grabowski’s wife, Tabby. At a press conference on Sept. 3, Sheriff Doug Schuster said neither of the 16 boat occupants were wearing a lifejacket. Although it is not required, authorities stress the importance of wearing one. The cause and factors of the crash are still under investigation with the Mohave County Sheriff’s Office. Stay with The Bee as we continue to follow this story. The Arizona Game and Fish Department and Orange County Sheriffs Department also assisted in the search. Lewis was 49years old & Brian was 49 on his death, please correct for those who loved them. Brian Grabowski is NOT from Ventura! He is from Tulare, CA! So sad. Prayers for the family and for some closure with finding Raegan! any update on the search for Raegan Heitzig? has Raegan Heitzig been found yet ?